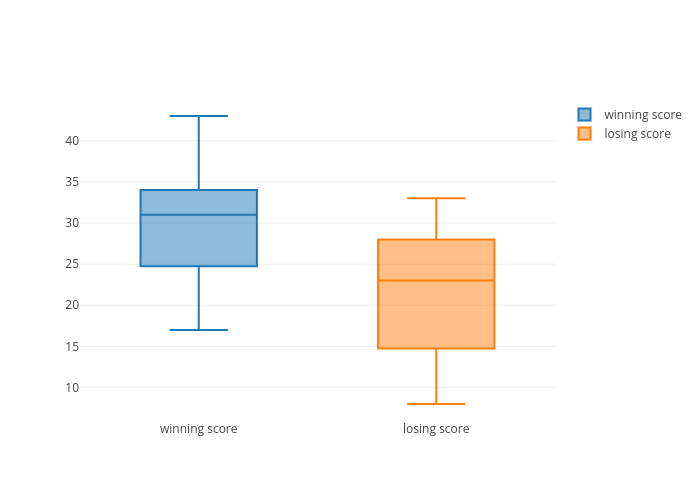 Ldlewis's interactive graph and data of "Super Bowl Scores 2018" is a box plot, showing winning score vs losing score; with Score in the y-axis. The x-axis shows values from -0.5 to 1.5. The y-axis shows values from 6.055555555555556 to 44.94444444444444.